This is All Quiet in the Trenches. You’ll lead a squad of soldiers on the western front of the Great War, where thousands of lives are sacrificed for every patch of ground gained, while the faint hope for a decisive breakthrough to end the war diminishes from battle to battle. You’re responsible for the lives and well-being of your soldiers and your own – not just on the battlefield, but especially during the long, supposedly calm waiting periods between the battles. Letters from home bring joy and sorrow, friendships and rivalries develop and fade, while the wounds and trauma of combat still strain bodies and souls. You’ll have to face meaningful decisions every step of the way. How will you act towards your soldiers? Keeping a professional distance may appear apathetic to some, but always lending them an ear to listen and a shoulder to cry on may have others question your capability to make the hard decisions, when their lives depend on it. You can’t do it right, but will you at least try? Is it only your life you’re interested in or will you be looking out for those who put their lives in your hands? Today, 99 years and six months ago, “The war to end all wars” ended. It took four years, three months and two weeks of bloodshed and suffering, caused over fifteen million dead and twenty million wounded and lead to famines, epidemics and war crimes. And yet it didn’t end all wars, but merely set the stage for more of them. For history not to repeat itself, it has to be remembered. We hope to help keeping the memory alive with this game, giving our players the opportunity to experience what this war meant for those who lived through it. All Quiet in the Trenches is an anti-war game, focusing heavily on the individuals entangled in the tragedy later known as the Great War. Every soldier has a unique mix of personality, beliefs and circumstances and will react accordingly to every decision you make. Nothing you do will change the outcome of the war, but still: Every game will play out differently, every try will tell a unique story. 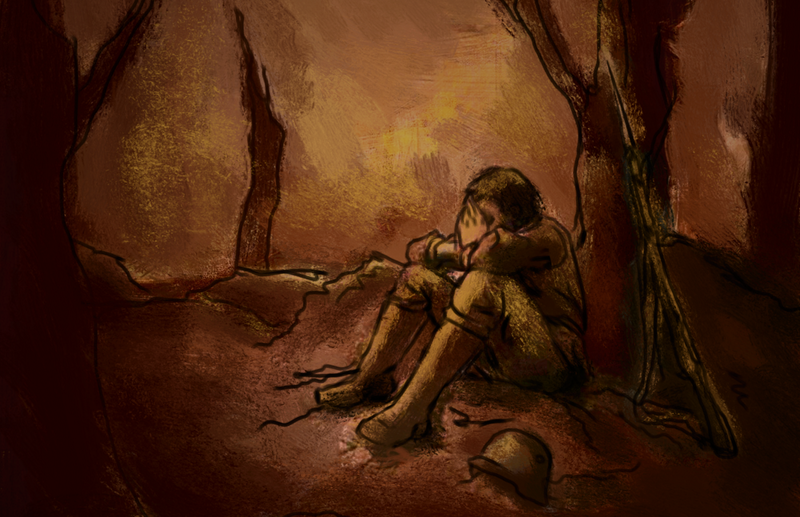 A story of a small group of soldiers braving the horrors of war or being broken by them – a story written by you, the player, through your decisions and the ever-looming, heartless arbitrariness of battle. These are your soldiers now. What will you do? Will you tell those children, ardent for some desperate glory, the old lie? Dulce et decorum est pro patria mori. All Quiet in the Trenches is currently in the early phases of development. Stay tuned for more information about the game! Who are we, you ask? One thing’s for sure: We’re Totally not Aliens!